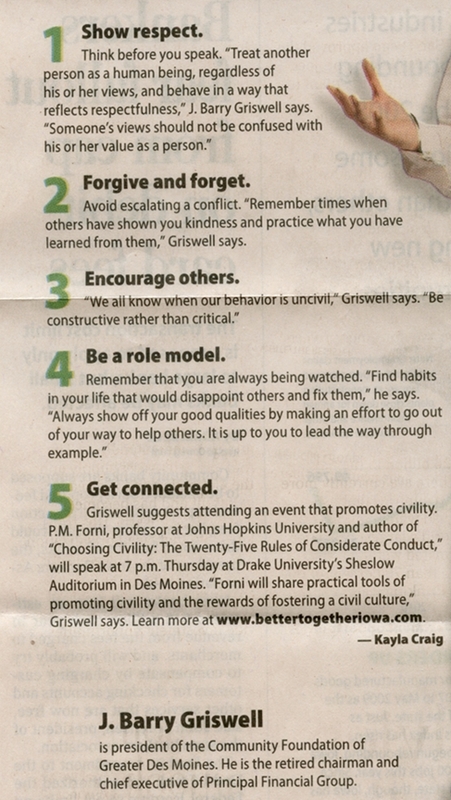 5 Ways to Be Civil – Iowa style | Be Nice. My mom-in-law is always looking out for articles I might like; ones on art, my alma mater, and civility are regularly arriving in my mailbox. It’s pretty great having people out there finding good material for me on days where I have so much to do, writing a blog post is one of the last things on my list! So, thanks Denise! 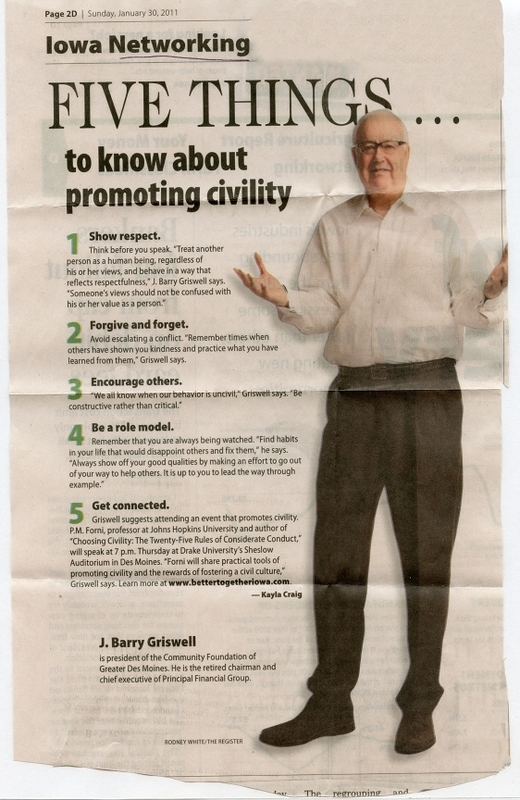 Here is an article from an Iowa newspaper on civility. Don’t strain your eyes–after the first image I have a close up of the text below it! And now for its close-up…. All really great points. I couldn’t have said it better myself! Have a terrific week! This entry was posted in Nice Reading Material, Perspectives on Be Nice. and tagged Civility, Community Foundation of Greater Des Moines, Des Moines Register, Iowa, J. Barry Griswell, Kayla Craig, manners by Jen. Bookmark the permalink.